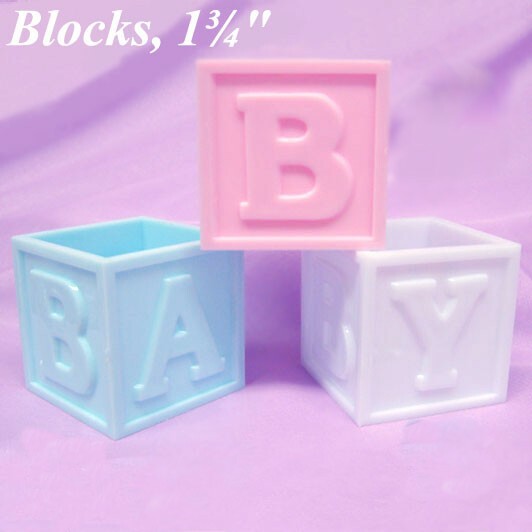 1 3/4" fillable plastic baby block. 1 3/4" fillable plastic baby block. Perfect as a nut/mint cup or to put a party favor in. Bear,bow and netting not included.